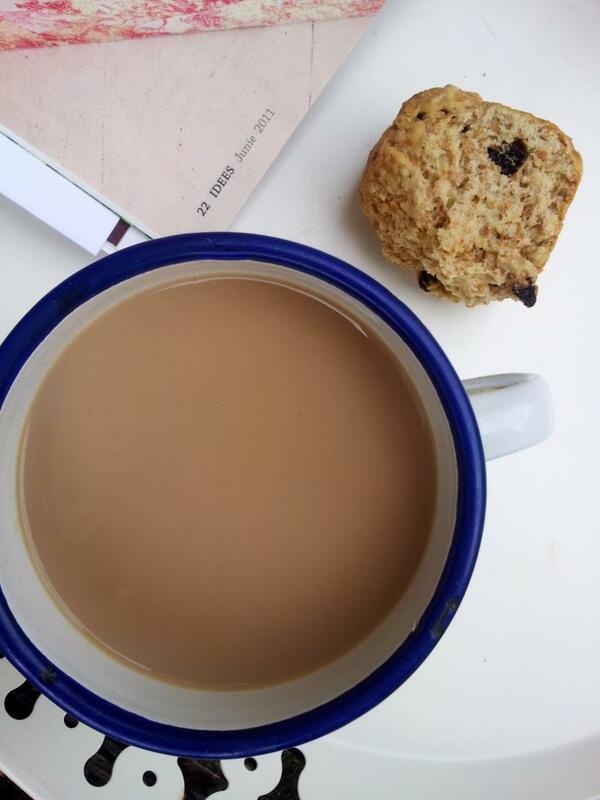 You can call these tea-time treats ‘Rusks’, but if you want to be accurate, you should really call them Beskuit. Looks a little bit like biscuit, doesn’t it, but they aren’t biscuits. Biscotti? Almost, but not quite. Beskuit is a South African treat that will make even the most manly Boer’s knees go a little bit weak. They are slightly cakey, slightly bready and completly hard – a little bit like Terry Pratchett’s dwarf bread but way more tasty. Sort of like Hobnobs, but bigger and way more healthy. They are traditionally dipped in a cup of steaming coffee (or tea if you must) before being gobbled up. And there is a bit of an art to dunking beskuit. If you dip it too long, it breaks and you end up with clumps of soggy crumbs in the bottom of your cup. If you don’t dip it long enough it will be too hard to eat comfortably. You have to dip it just so…ever so gently… and when you bite into it, it should be soft around the outside (not soggy) and just a little firm on the inside (not hard). And if, at the end of your cuppa, you get up with nary a crumb on your lap, well, then you simply haven’t done it right! 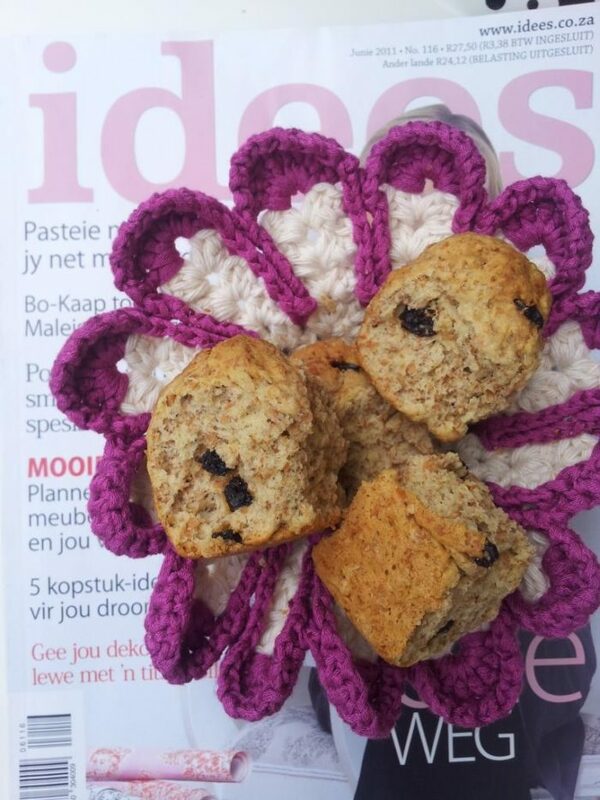 If you would rather have the recipe in Afrikaans, you can find it here. These rusks take an hour to prepare and bake. They take 6 hours to dry out (in a cool oven). Sift flour and salt together and then rub the butter/margarine into the mixture with the tips of your fingers. Add the bran and the raisins and mix well. Add the wet ingredients to the dry ingredients and mix to form a dough. The dough should still be slightly sticky, but you should be able to handle it with relative ease. If it is too sticky to handle, add a little bit more flour. If it is too dry, add a drop or two of water. Now pinch off little balls of dough, about the size of an egg, and roll them between your your hands until they resemble eggs in shape as well as size. Place these dough balls in a 20 cm square baking pan/brownie pan, making sure to place them quite close together. They need to snuggle a bit. Bake at 180°C for 40 minutes. When done, turn the knobbly loaf out on a wire cooling rack and leave to cool. When completely cool, break the rusks apart and dry in a 75°C oven for about 6 hours. Stored in an airtight container, these rusks will last far longer than it will take you to devour them; months, I should think, but I’ve never been able to keep them that long, so don’t take my word for it. I have over dried my rusks and they are far too hard now. Is there any way I can soften them. They are already cooked and cut. Many thanks. Hi Yvonne. Rusks are usually hard to rock-hard. You eat them by dipping them in coffee (or tea) a little bit at a time before eating. They are made for dunking :) Let me know how that goes :) Alternatively you can put them in a tin with an apple cut in half. They will absorb some of the moisture from the apple, but they won’t go soggy, just slightly less hard. Can you confirm that the measurements are actually ml and not mg. For example the butter, how to measure 125ml or butter without melting it? The measurements are in ml. If it helps at all, 125 ml is half a cup; 250 ml is one cup. For butter 125 ml equals 125 grams (roughly). So just use 125 g if it is easier for you. Why self rising flour? I made rusk for the first time last night. It’s not as dense as the type I had in the deep fall brush of South Africa while hunting. The self-raising flour is used instead of plain flour and baking powder. All rusk recipes will have some form of leavening agent (be it baking powder, baking soda or yeast). Buttermilk rusks are generally more cakey than others and tend to “crumb” more easily because of the addition of the bran. 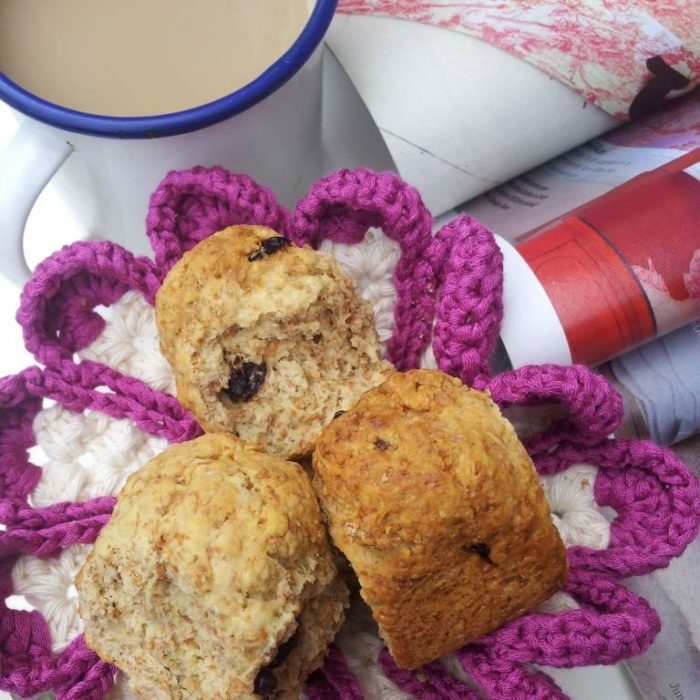 You can always make these Aniseed Rusks. Also, if you don’t dry them long enough, they won’t be as hard as they should be. If they are at all spongey, they haven’t been dried out in the cool oven for long enough yet.